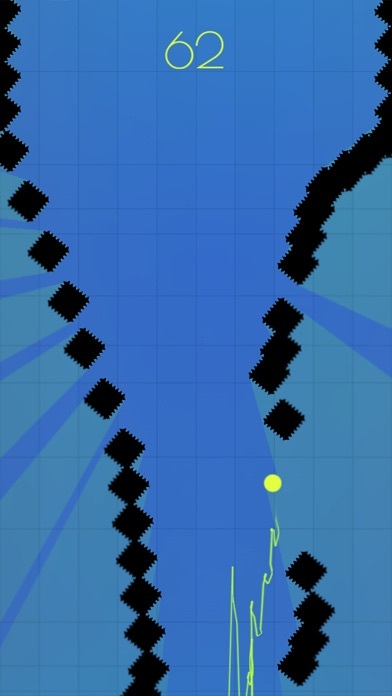 Explore an abstract world with dynamic landscapes and sharp obstacles! 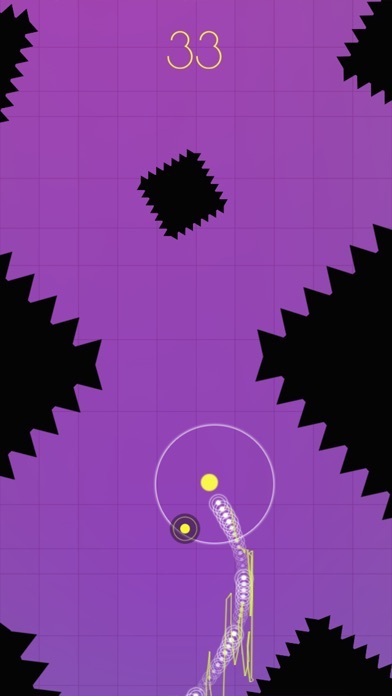 Tap to avoid obstacles and collect power ups. How far can you get? 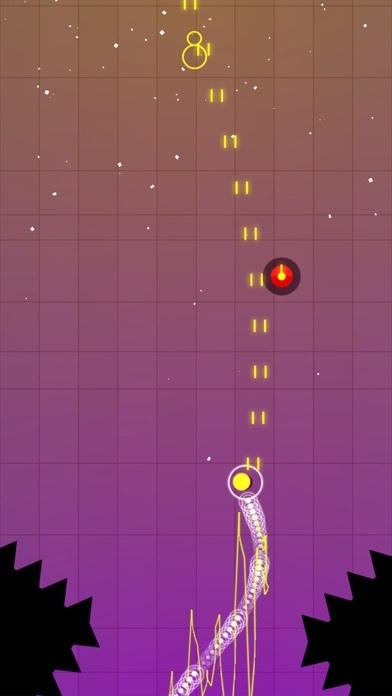 FEATURES • Simple One-Touch Gameplay • Endless Fun • Awesome Power Ups • Minimalistic Art • Game Center Leaderboards How to Play: Tap anywhere on the screen to move the ball left or right. 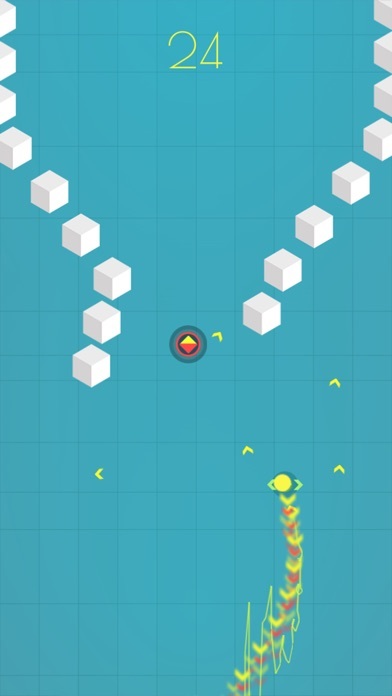 Collect the power ups and avoid the obstacles! Fun great replay value ..
this app is a very addicting fun game..... Although it takes a long time to develop skill for this game.... it takes up so much of your time when your bored.... I LOVE IT!!! Well, i unlocked everything, if thats a good sign. 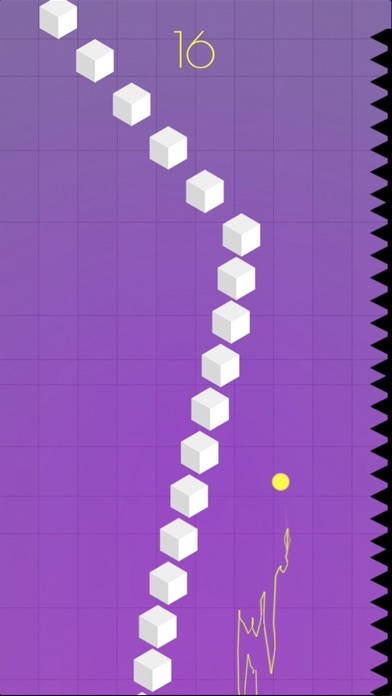 This game is basically a procedurally generated flapybird, but better because you feel like you're actually doing something. Thats not to say its perfect, so let's s list off its problems: •suffers from the, click on play button and ads appear all of a sudden, and apparently you clicked that ad syndrome. •every once and a while an actually impossible obstacle appears do to the moving white block things. •lag, somehow. •odd point system... so odd its hard to explain how its odd •and finally LACK OF CONTENT!!! i unlocked everything! I want more unlocks, more obstacles, more power ups, more everything. I don't know what to do with this game anymore, that's why I'm writing this review. In conclusion, update your game! This game is great. Very simple, able to play with one hand which is a plus, but the game doesn't allow you to listen to your own music while playing–total buzzkill. I am surprised I haven't grown tired of this game...this game has great sound which gets you pumped to play more!!! This new update is really cool. I've been waiting for a new update because I already had all the characters. Ask the new scenes are cool.